It’s creepy, it’s crawly and it’s built by you! Meet MeccaSpider, the latest in robotics from Meccano, formerly Erector. Completely unique, this 18” x 16” x 7.5” hi-tech spider is made from space-age materials and is controlled via its buttons or with the free app. Draw on concepts used in the fields of science, technology, engineering and math to successfully build it. Then, program the MeccaSpider to customize its behaviour. Once built and programmed, you can interact with its distinctive personality and discover what MeccaSpider can do! 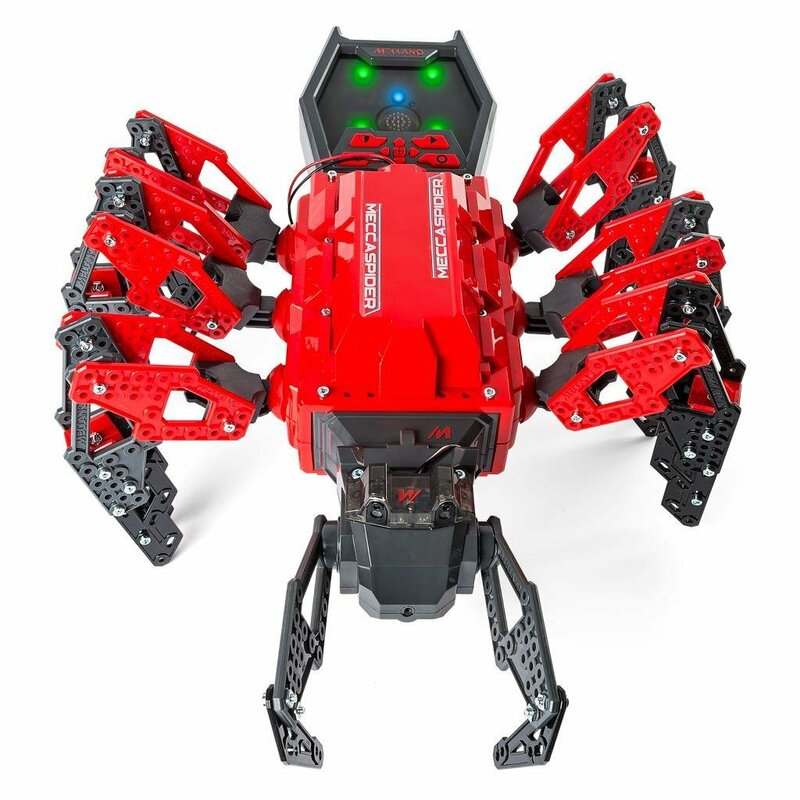 Not just a spider, this multi-legged robot is a bodyguard as well. Should you find yourself in a dangerous situation, this guard spider will spray a stream of venom at your assailant! It also comes with built-in games to keep you and your friends entertained. Play a round of spider-roulette and see who gets sprayed first! Equal parts intellectually engaging, fun and scary, the MeccaSpider is a great way to introduce kids to the fun and innovative world of robotics!